SISTER STYLE. SUMMER DAY. | Life Looks Perfect. 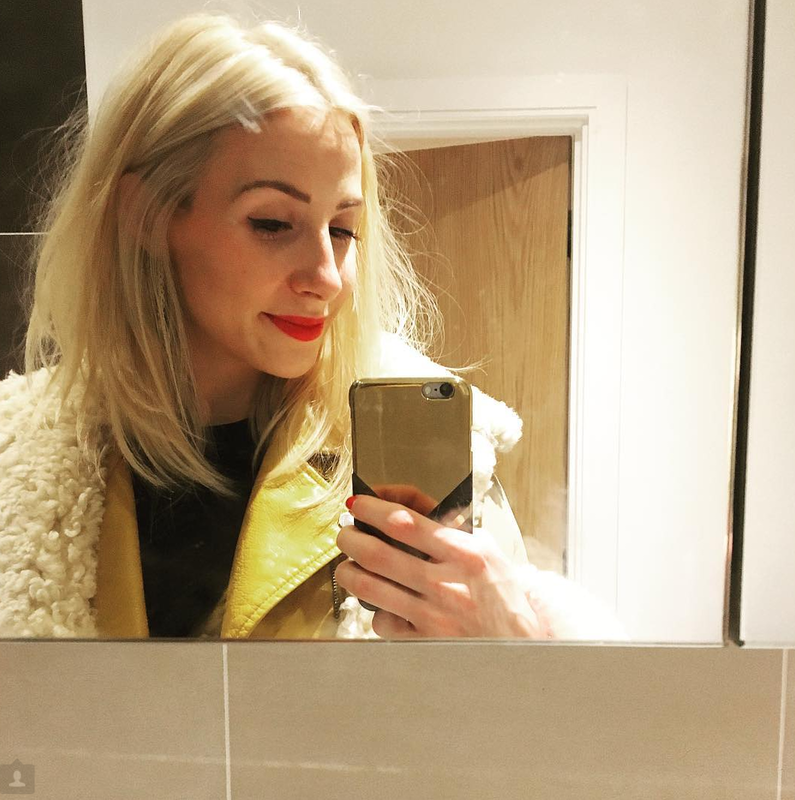 I didn't realise that we hadn't written a Sister Style post since April at the Vogue Festival! How time flies! So I thought I would start taking my camera out with me more so you can see our favourite summer outfits. 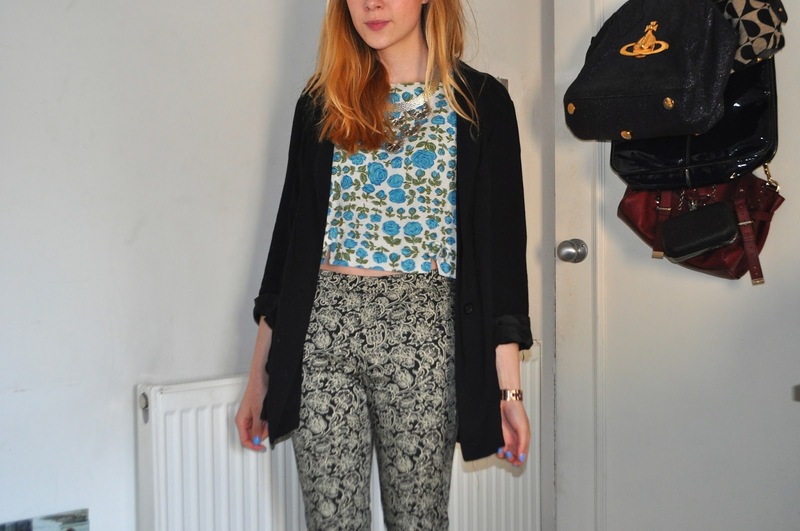 I LOVE clashing prints! For summer, I think they look even better. 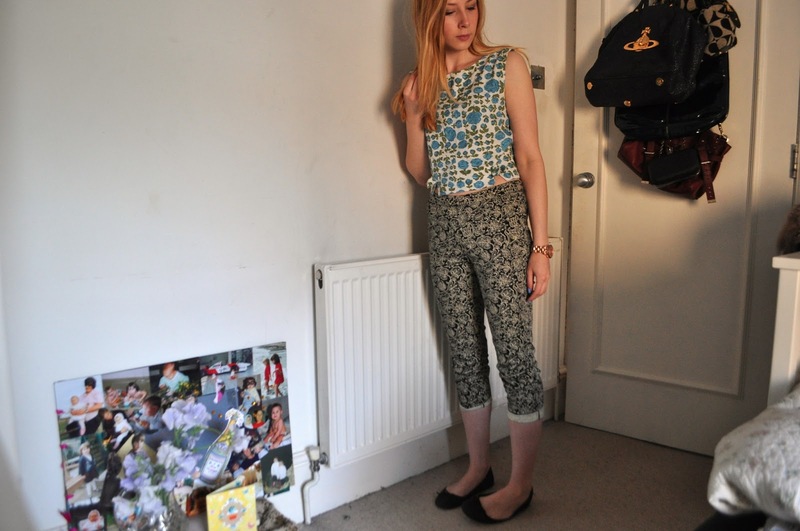 So for this quick weekend outfit I have mixed an old ASOS floral cropped top, that looks really vintage when worn with the matching high waisted shorts (weather isn't quite there for rocking that duo yet!) 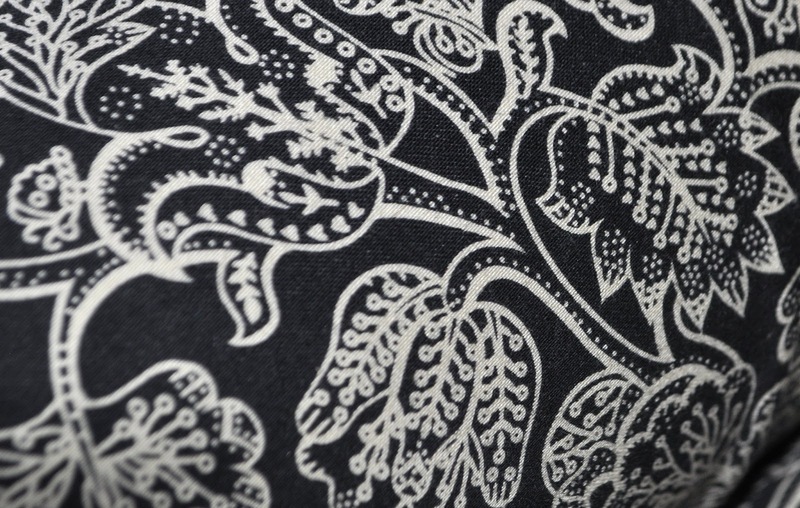 but instead I have worn it with my favourite Celia Birtwell trousers from Uniqlo in a delicate paisley print. I also like to accessorise with a statement necklace, some fab shades and a great summer shade on my nails. My sunnies were such a bargain from TkMaxx, they are Christian Lacroix and I bought them for 20 quid! 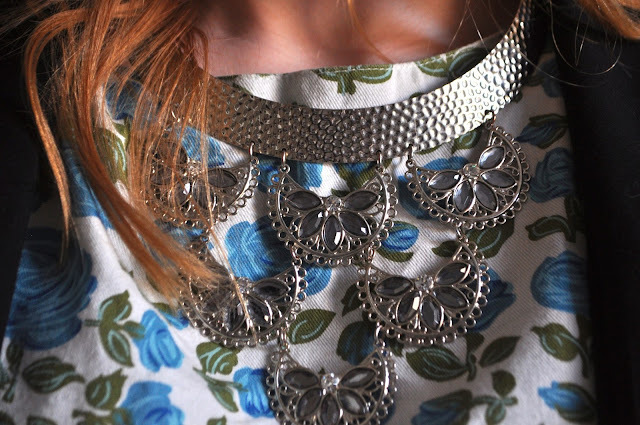 This statement necklace was from the New Look sale last year. I think I paid around £5. For my nails, I like to slightly match if I can but still make sure they stand out against my outfit. My nails here are painted in Barry M's Gelly Nail Paint in Blueberry. Necklace New Look -£5.00 (sale) & Blazer H&M- £15.99. I am a big fan of clashing prints too. Love this outfit it works so well and the nails are the perfect finishing touch!